If you’re on the lookout for a unique, unforgettable activity for your – or your friend’s – bachelors or bachelorette party, look no further than paintball games. CAPE TOWN PAINTBALL has the ideal venue, situated close to Cape Town and surrounds, to ensure that your final romp with all your friends will be a popular topic of conversation for years to come. If you’re wondering where to party in Cape Town, look no further. Paintball parties provide the opportunity for friends and relatives to challenge one another to a fun, stimulating match that is sure to conjure plenty of laughs and cheers, which creates a real sense of camaraderie. Our venue is a great place to party and make memories that last! Don’t think for a moment that paintball games is only for the boys. It is considered one of the best bachelorette party ideas in South Africa, and we are known as one of the most popular hen party venues in Cape Town. We take every measure to ensure that players have the time of their lives on our paintball field and provide all means of paintball gear, including paintball guns and comfortable paintball masks. At CAPE TOWN PAINTBALL we place emphasis on the fact that safety comes first. Next in line is fun and adrenaline, After all, there is absolutely no room whatsoever for any accidents a week or two before the bride and groom’s big day! 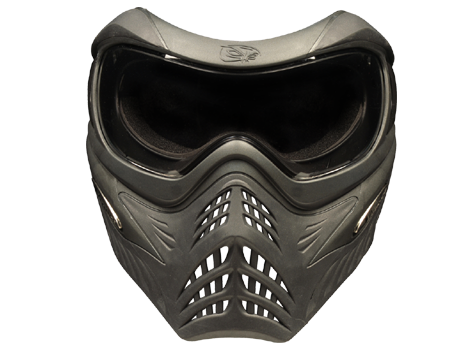 We provide all players with state-of-the-art paintball masks for ultimate facial protection. All our action packed paintball games are monitored by a qualified paintball marshal who sees to it that players adhere to regulations at all times. What’s more, our paintball guns (or paintball markers) are covered with paintball barrel socks or have barrel plugs inserted at all times when not in use, to ensure the safety of our players. We don’t cut any corners! Our good reputation is why we are considered one of the most revered party venues in the Western Cape. Please take note that the pain factor associated with the sport is an inevitable, yet crucial part of paintball games. The feeling of getting shot by a paintball gun is nothing more than a sting at the time – you’ll be buzzing with adrenaline anyway – and won’t result in more than a mild bruise. Paintballs do not leave any permanent marks (bruises fade after two weeks) and do not induce serious injuries. You need to be sure that everyone’s faces will be looking at their very best for the wedding pictures! CAPE TOWN PAINTBALL is one of the best venues to throw parties in Cape Town, and we can guarantee that you will have an absolute blast. We have facilities available by prior arrangement for those who wish to have a braai or refreshments after the paintball games have ended. Please contact our highly capable staff for assistance with organizing your special bachelor or bachelorette party. Find out first-hand why we are considered by many to be one of the finest Cape Town party venues. And remember – bachelor and bachelorette parties dare not be boring!